"He’d definitely been someone’s companion ... he kept looking at me like he wanted to trust me." Adam Parascandola will never forget the moment he first laid eyes on Camo, a 4-year-old Maltese mix. 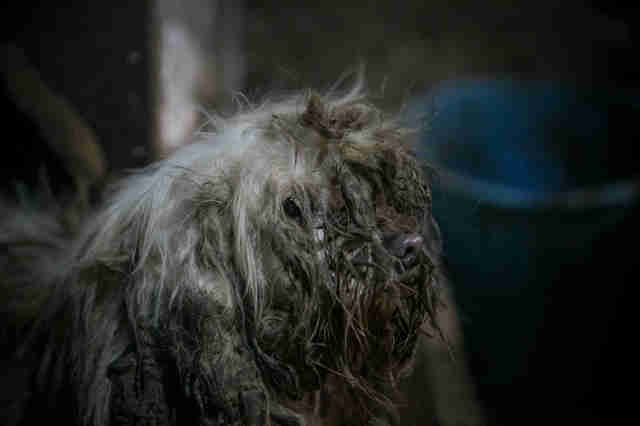 Camo was one of 55 dogs living at an indoor dog meat farm in the suburbs of Seoul in South Korea. All of the dogs were in poor physical condition at the farm, but Camo was one of the worst, according to Parascandola. 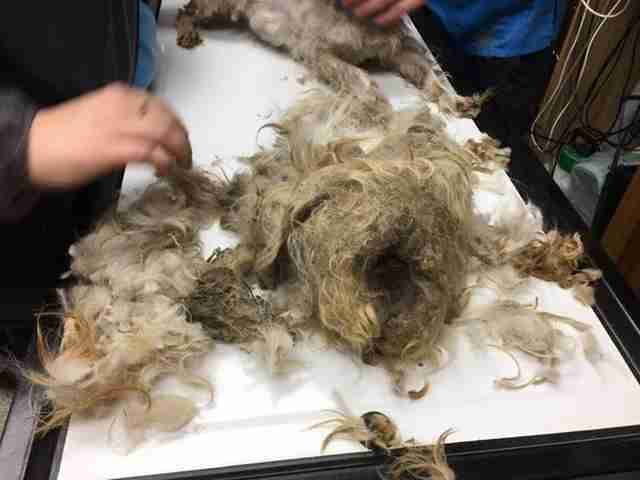 His fur was matted and covered in feces, and, as he cowered in his filthy pen, he looked absolutely terrified. 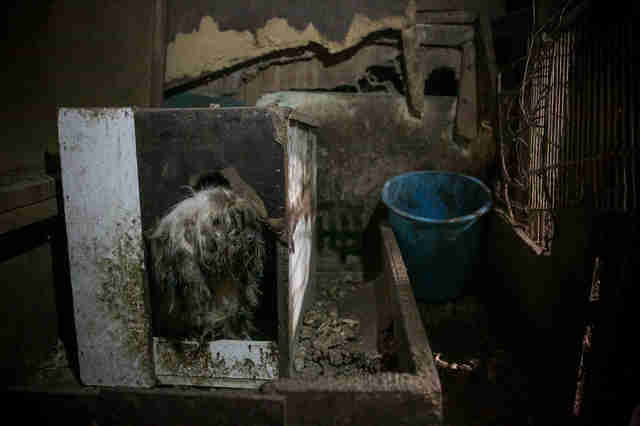 While dog meat farms are unfortunately common in South Korea, this particular facility was unusual, according to Wendy Higgins, director of international media for Humane Society International (HSI). 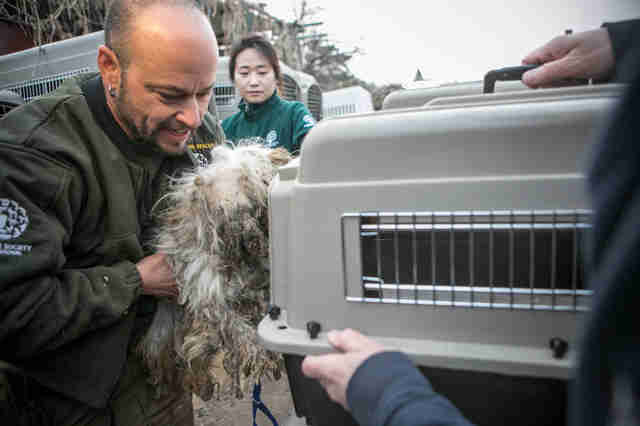 The farmer reached out to HSI for help, and a team arrived in March to rescue the dogs and transport them to the U.S. 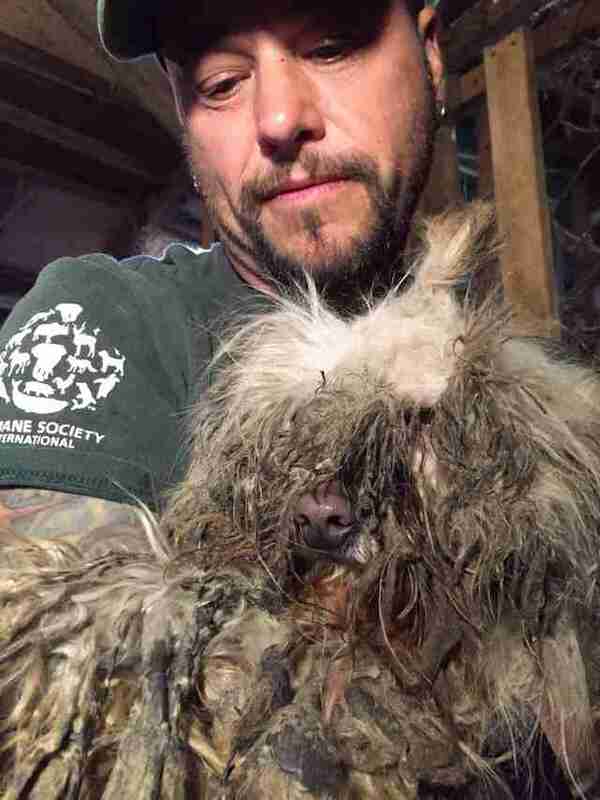 When Parascandola went to get Camo out of his pen, the dog didn’t come across as friendly. “He was growling and very, very scared,” Parascandola said. But there was something about Camo that made Parascandola wonder how he got here in the first place. When Parascandola eventually lifted Camo out of his pen, the dog immediately calmed down. Parascandola managed to speak to the former dog meat farmer, who confirmed Parascandola’s suspicions about Camo being a former pet. 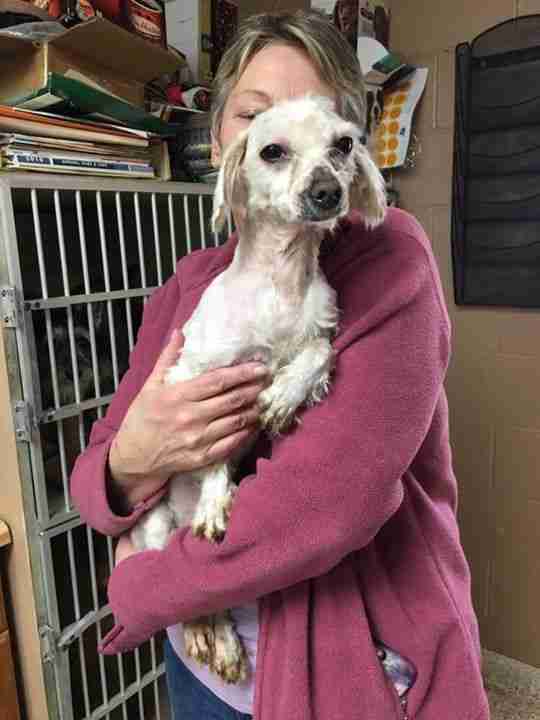 After arriving in the U.S., Camo and many of the other dogs briefly went into a shelter run by ROFF Rescue in Pennsylvania. 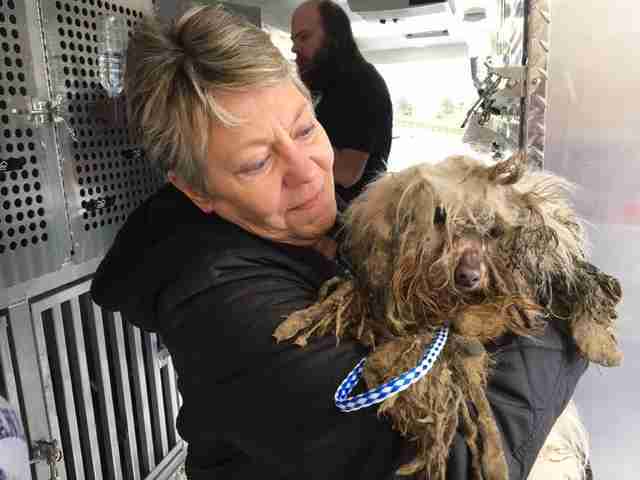 Then Camo went into foster care with a woman who also happened to be a dog groomer. 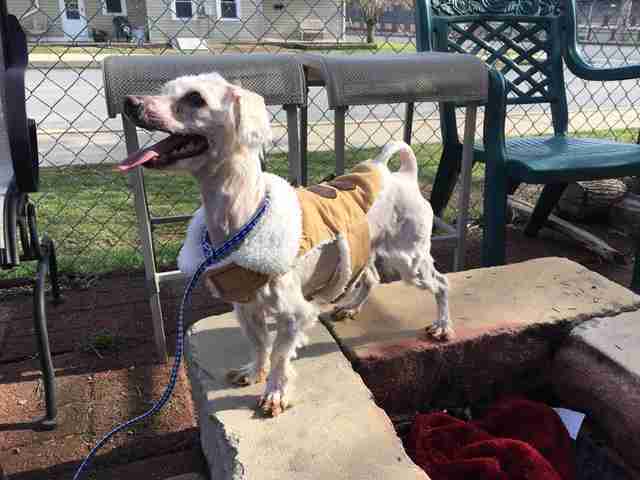 But with love, care and attention, Camo gained weight and grew in a fresh coat of shiny white fur. Not long after that, Camo found his forever home. 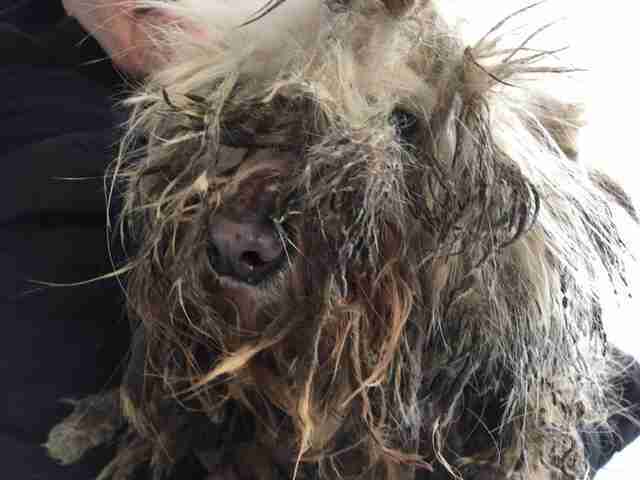 To help HSI rescue other dogs like Camo from South Korea, you can make a donation.